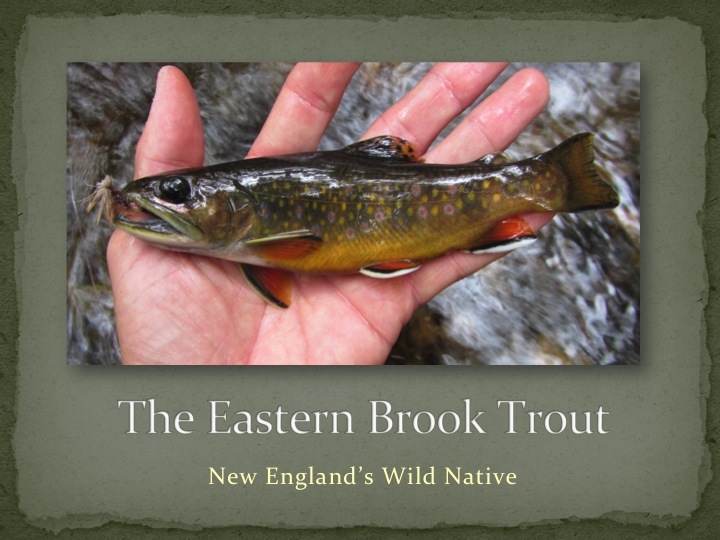 This entry was posted in Hire Steve for a Presentation and tagged Farmington River, fly fishing presentations, fly fishing speaker, Steve Culton, The Fisherman LLC, The Little Things fly fishing presentation, wet flies, Wild brook trout. In addition to delivering a presentation that was well worth our expenditure, interactions with him are very professional. Too often, I have to jump through hoops (directed to websites to pick through bios and download my own photos) to get information for my promotional materials. Steve understands the meaning of customer service and professionalism and provides excellent materials upon request. Not only that, but he helps promote your meeting through his own blog and website. In essence, you’ll never say, “I can’t believe I’m paying this guy.” On the contrary, you’ll be happy you did. Steve presented to the NYC chapter of TU and the feedback was very positive. I got the opportunity to talk with Steve a lot through the night and he is a very engaging and interesting fellow. His approach is to make the evening fun and we appreciated his light heartedness balanced with great information about where to go on the Farmington. Sometimes it helps to have a little confidence in trying a new spot and Steve provided that for our members. I recommend having him speak at your event. So much passion in his presentation it was contagious. Steve, you did a thorough presentation and were fun and funny as well as informative! Steve Culton is a frequent presenter at our regular monthly meetings of TU Narragansett RI Chapter 225. 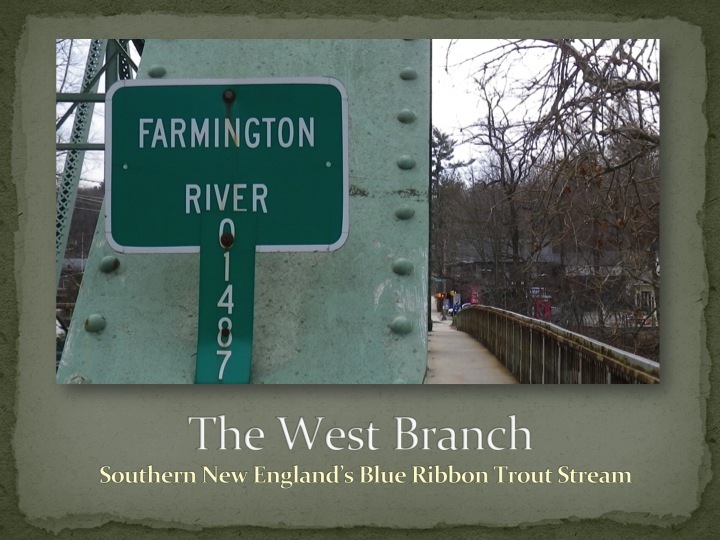 In the past, we have heard his focused insights on catching elusive Farmington River trout and learned his tactics and tackle rigs for fooling them with wet flies. Last night, we enjoyed hearing Steve’s more generalized presentation on “The Little Things” which collectively can improve one’s angling success on challenging trout waters anywhere around the globe. Steve always comes well supplied with samples of productive flies, insider tips on local waters and a wealth of detailed experience with which to answer questions from the floor. As ever, we are looking forward to hearing Steve’s next presentation in the near future. Steve (again) gave another great presentation to our TU chapter in October. His engaging style always draws a crowd. A biologist from DEEP Inland Fisheries even showed up because he had heard that Steve gives a such a good presentation. Steve is happy to share his knowledge and does so without a condescending attitude that often puts off those new to the sport of fly fishing. 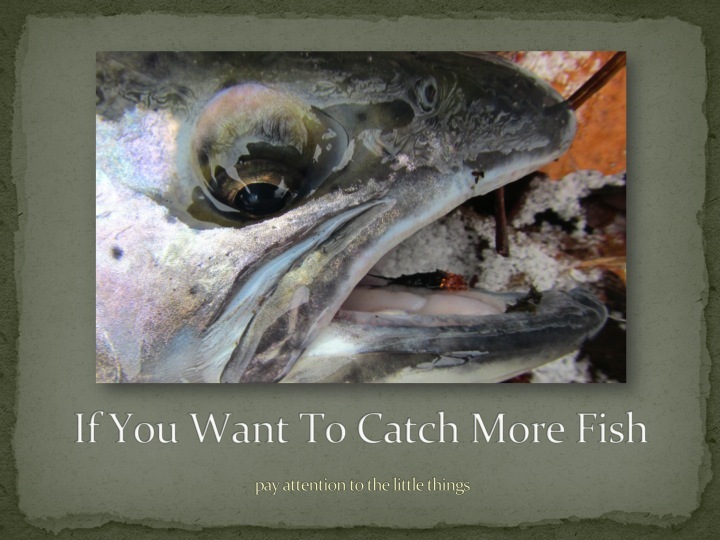 His presentation “The Little Things” offers advice for veteran fly fishers and newbies alike. We look forward to having him back again and again. Steve gave a very nice presentation to the CFFA on Wed. His program was very good and he is a delightful speaker. Great job and very entertaining. Steve was just at our monthly meeting of the Coastal Flyrodders. He did a wonderful job and was a good mix of education and entertainment! The title of the program was the “Little Things” and it was very well received by the group. He is fresh with some ideas and it is obvious that he enjoys these presentations. Different with some fresh ideas is a good thing in what can be a stagnant pond of presenters. Book him for your group! Members of the Hammonasset Chapter of TU enjoyed Steve’s presentation of “The Little Things at our October meeting. He is always an interesting speaker with great interaction from those that attend. We really enjoyed having you present to the Flyrodders last night. Thanks for making the long trip to Long Island. The accolades have been pouring in, saying what a great presentation you gave. We look forward to hearing “Little Things 2,” next year. And, we are honored to receive the highly coveted, “Legion of Cookout Merit.” Hope to see you on the river. Sometimes when you anticipate something for a length of time, that something is anti-climactic once it actually occurs. HOWEVER, you, Steve, did not disappoint. “The Little Things” presentation to the Long Island Flyrodders last night was extremely well-received, as evidenced by the extended Q & A following. We all garnered many terrific tidbits that will make our angling experience that much more enjoyable and fruitful. On behalf of the Board of Directors and general membership. THANK YOU. We look forward to future engagements. HEY STEVE- I had opportunity to put into practice several principles from THE LITTLE THINGS which I accrued just 2 days earlier. I was fishing the HOUSATONIC in MASSACHUSETTS on Thursday afternoon , just upriver from the town of Housatonic. First, I weighted my flies as you had suggested Tuesday eve and caught several fish immediately. In another instance, I saw a fish rise 3/4 of the way directly across river with several varying currents in between. Unable to properly mend my line to create a natural drift, I moved down river, CHANGING THE ANGLE, and brought that fish to hand. Thank you, again, for sharing your “truths” about fly fishing. Steve recently spoke to the Connecticut Surfcasters Association at the Madison Surf Club. At first glance, it might seem an odd combination. But in fishing, and for those who love fishing, there are so many commonalities and nuances to learn and think about, that it is not so strange at all. Steve talked to us about “The Little Things” that make one a better fishermen. Those little things and that approach are pretty universal no matter your method or the species you seek. Steve had a great presentation, very well put together, very polished and informative, even for a bunch of surf rats like us. We had a fun evening and Steve’s talk was humorous and touched on other areas of life, beyond fishing. (Hard to believe, I know) . And the question and answer session was wide-ranging and excellent. For me, the really cool aspect was having him talk about making flies do certain things and then, in my own mind trying to conceive of a way to make a 3oz plug behave the same way. So his talk has lead me to thinking, and tinkering, which is a good thing, always. I would recommend Steve as speaker for ANY fishing club or group. You will find a few pearls. I’m not sure I can make any better comments than have already been written above, but I’ll try anyway. What I CAN say at the risk of sounding trite is that Steve did not disappoint us! His Wet Flies 101 presentation was extremely informative AND interesting. His presentation style is entertaining as well. I would not hesitate at all to invite him to speak at future meetings. I have already recommended Steve to a friend at another TU chapter. Last night we had Steve back for his 2nd appearance to the Cape Cod Flyrodders. He gave a 40 minute presentation titled, “Targeting Big Stripers From The Shore”. We had 41 members attending and they were very engaged and we had another half hour Q&A following. Steve offered many specific suggestions on when, where and how to target larger bass. 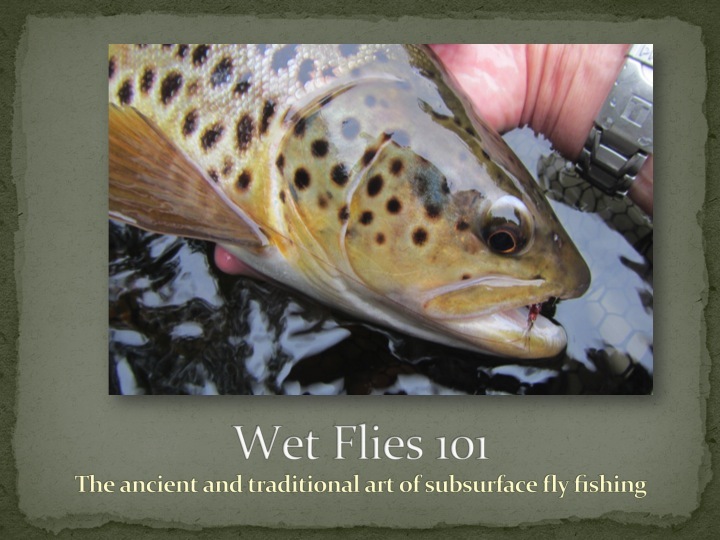 This talk was debuted at the 2019 Marlborough Fly Fishing Show and our club was lucky to get the first presentation since the show. I have been scheduling speakers at our club for the past few years and I can highly recommend you consider Steve for one of your 2019 programs.